Reframing Art is the most engaging, accessible and up-to-date introduction to art theory available.A work of art has always been more than just an aesthetic object. It has always had more lives than this. Art is also something made by an artist or artists, a value object in the world of commodities and money, something given meaning by the context of its display, a medium for experiencing the sublime or the abject, a product of its culture and time. 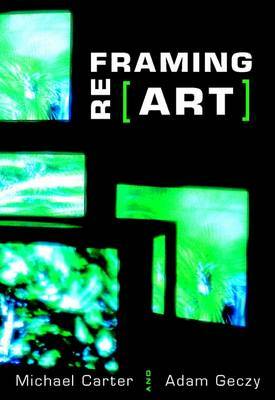 Reframing Art explores how the theories of art can be used to open up, structure and enrich our contemporary understanding of art and visual culture. Illustrated with examples from aboriginal, medieval, renaissance, enlightenment and modern art including installation and new media, Reframing Art will be invaluable for students of Art History and Theory and for any reader looking for a clear explanation of ways of seeing and understanding art.